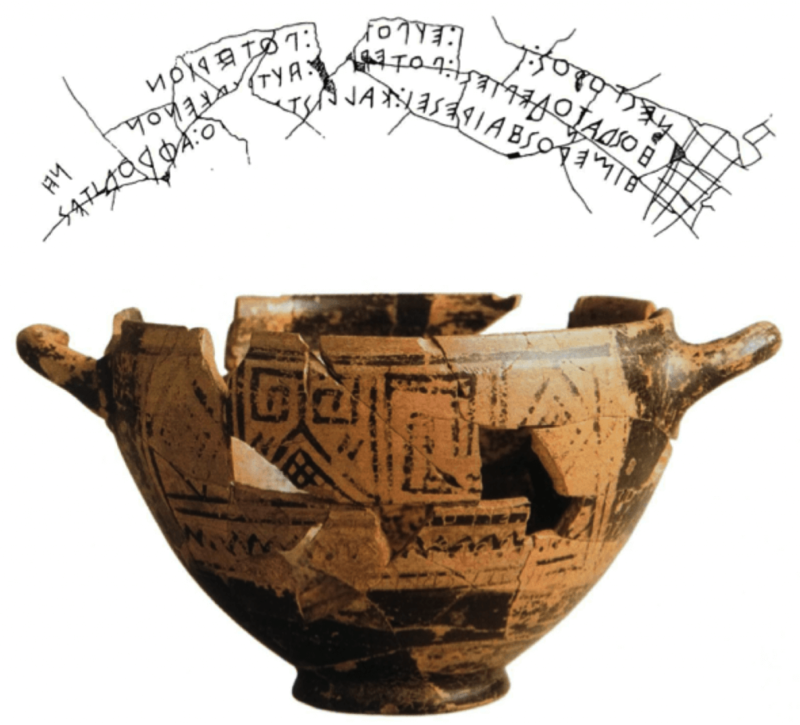 Linear B (=Mycenaean) - what is distinctive about this writing system? Western Semitic proto-alphabets/consonantal alphabets (Phoenician, for example): in what essential ways these differ from the Greek alphabet? Alphabet: graphic system whose signs come in a certain order and seek to represent phonemes- in what respect do the Semitic scripts not agree with this definition? I am Nestor’s cup, good to drink from. Whoever drinks this cup empty, straightaway Desire for beautiful-crowned Aphrodite will seize him.